The average amount of traffic is often used to quantify the impacts of major planning applications and local plans. The common term uses is Annual Average Daily Traffic (AADT). There is a serious problem with the secrecy and inconstancy between AADTs for various applications and in the crazy Borough Plan. Often the planning applications include very different amounts of traffic to other applications and strange reductions in future traffic. 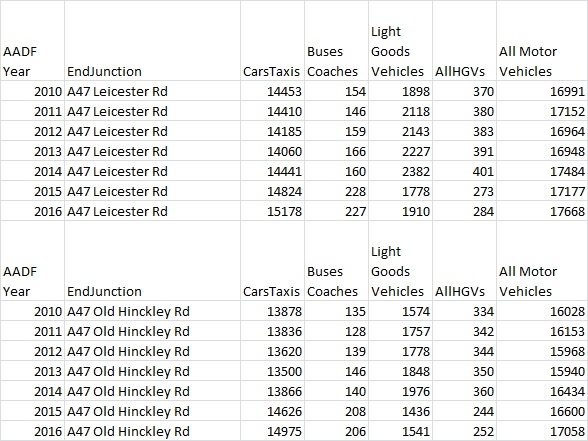 We need one publicly available traffic model which allows for impacts to be fairly compared. Here is the worst found so far from Air Quality report for sterling gates development. 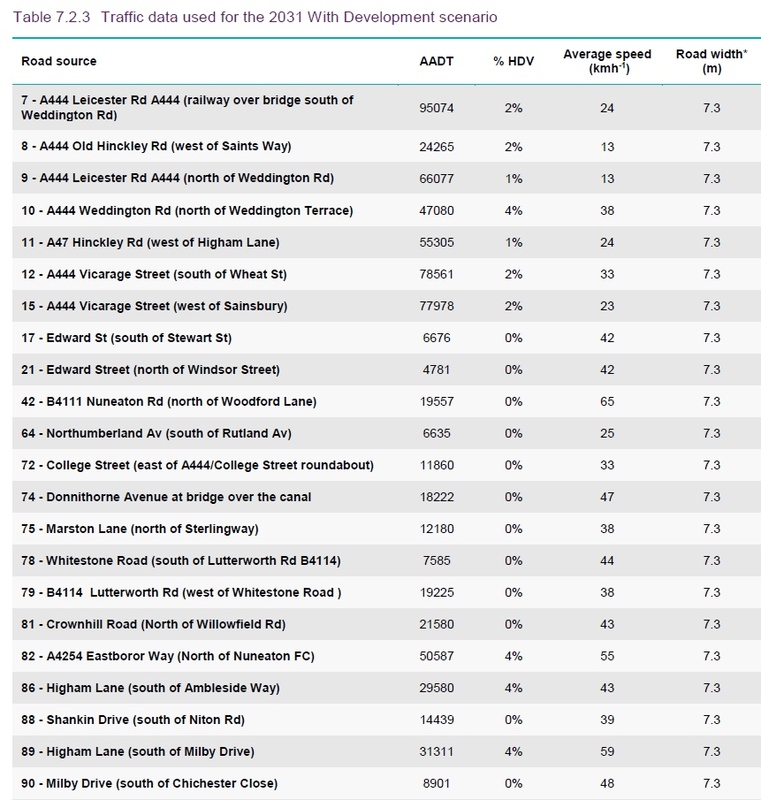 At the moment the AADT for Leicester road gyratory is somewhere around 17,000-19,000 on one way sections. You will see big drops on some links and far too little traffic on links “n” and “o”. 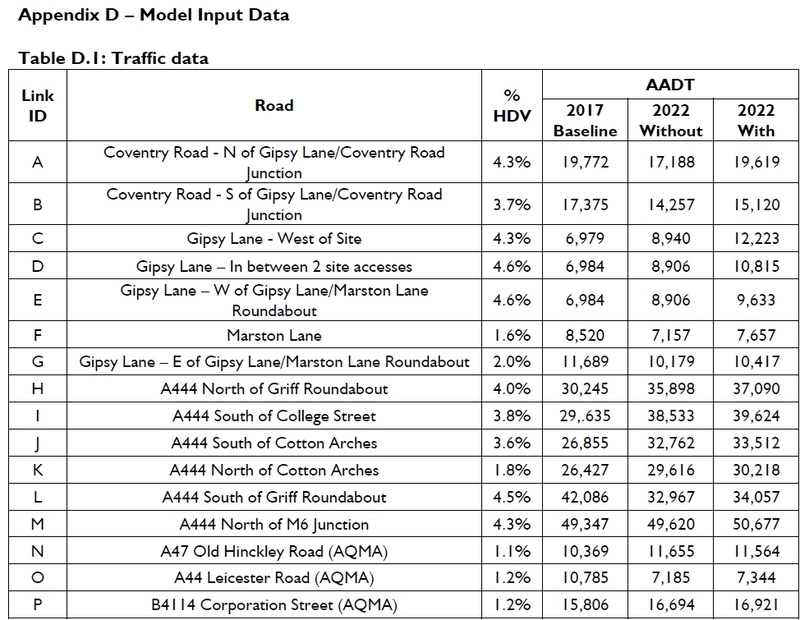 and I cannot believe the projections for everything built out in Top farm planning application has an average of 95,074 vehicles over Leicester Road Bridge each day.